Image composite by Earl Otsuka. I.M. Pei photo courtesy Ingbet Gruttner. In 2017, a party was held at the legendary Rainbow Room on the 65th story of New York’s Rockefeller Center honoring the 100th birthday of I.M. 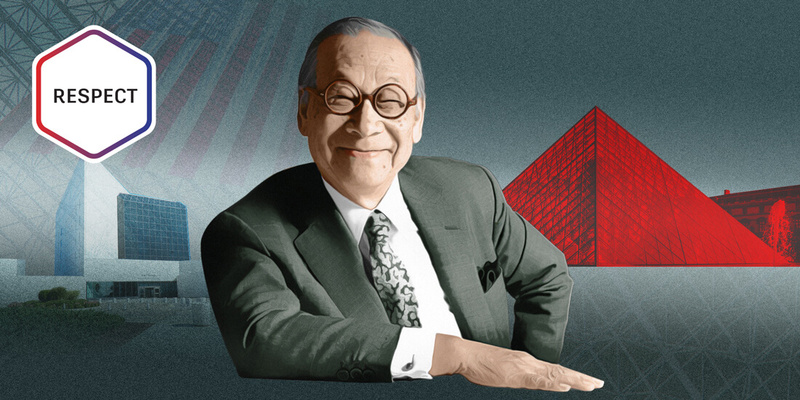 Pei, the revered Chinese-American architect. 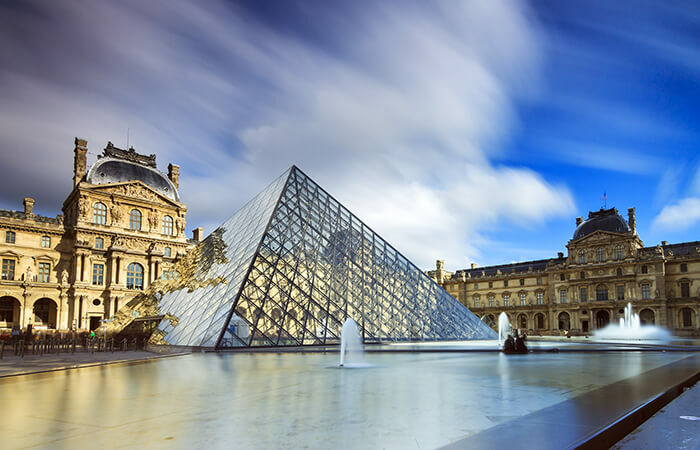 The bespectacled mastermind of the glass pyramid at the Louvre had just entered his 11th decade. He was seated in a wheelchair, smiling warmly and showing his characteristic charm. Pei will turn 102 in April this year, and if the Pritzker Architecture Prize winner has aged remarkably in body and spirit, his work—a bridge between Western modernist architecture and Eastern landscape traditions—has also gained favor with time. Pei’s iconic glass pyramid at the Louvre in Paris. Many of Pei’s other projects have seen a similar turnaround in their critical reception. The angular, marble-and-glass East Building of the National Gallery of Art, seen at the time as too stubbornly modernist and an inferior art venue to the original building, has become almost universally admired. According to architecture critic, author, and Yale University lecturer Carter Wiseman, Pei’s later projects are among his best. 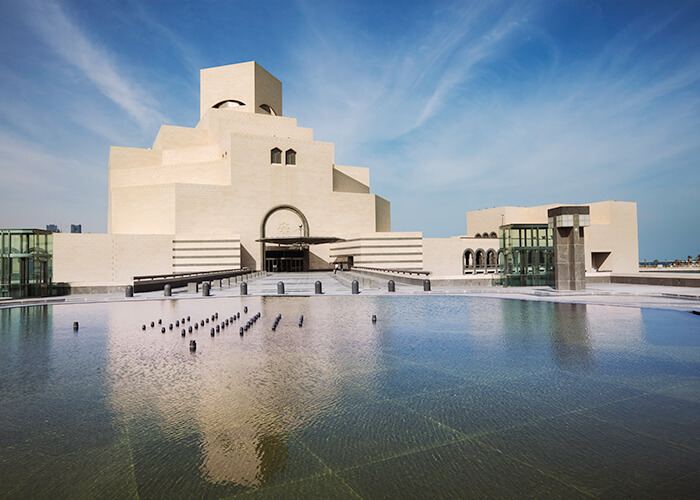 Wiseman cites the mountain-hugging Miho Museum outside of Kyoto, Japan, and the cubist drama on display in the Museum of Islamic Art in Doha, Qatar, as examples of the architect’s “sensitivity and ability to listen to ancient voices and bring them out in a way that isn’t imitative or Disneyesque,” he says. The Miho Museum near Kyoto, Japan. 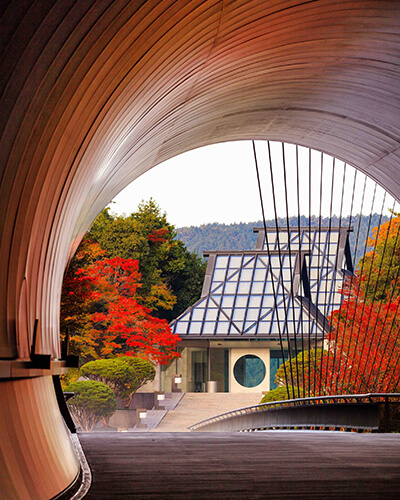 Courtesy Miho Museum. Pei’s journey to prominence has been a long road. Born in Guangzhou, China and raised in and around Shanghai surrounded by colonial Beaux Arts buildings, he moved to the United States at 18 to pursue architecture after his mother died of cancer. He studied at MIT and then Harvard under Walter Gropius, founder of the Bauhaus school, amassing an impressive decades-long portfolio at I.M. Pei & Partners (later Pei, Cobb, Free & Partners). But he often found himself in the shadow of contemporaries such as Philip Johnson. Buildings such as Boston’s Hancock Tower (primarily the work of Pei’s longtime partner, Henry Cobb) have suffered a different kind of scrutiny, involving quality-control issues and cost overruns. These grievances are largely due to factors outside the architect’s control, despite Pei’s mastery of concrete and obsessive attention to the structural integrity of his buildings. Controversies aside, the real reason Pei’s acclaim was slow to arrive, Wiseman says, is more about racism, xenophobia (“You are not in Dallas now!” someone shouted during a meeting with the French Historic Monuments Commission in 1984), and professional snobbishness. His early commercial work for New York developer William Zeckendorf, Sr. was seen as “a step down from the Harvard Graduate School of Design,” Wiseman says. Nevertheless, the experience helped Pei cultivate his instinctive charm and toughness, applying these qualities later in his career to win the favor of high-profile clients and maneuver through difficult commissions. Eventually, Fenn says, the project moved to its current location on Boston’s Columbia Point peninsula. Pei, hoping to build a museum at Harvard, was crushed. Despite being gracious, he clung to the integrity of his vision, even after he presented his new concept before members of the Kennedy family to 90 seconds of near absolute silence. “Sargent Shriver, a wonderful guy, looks at it quizzically, and says, ‘I’m sure it’s very nice, I.M., but what does it have to do with John Kennedy?’” Fenn says. History has looked kindly on the building. Director Alan Price says the library, which has gained enormous popularity and undergone several renovations since its October 1979 opening, has endured in part because of Pei’s sympathies with the broad-minded ideals of the former president. 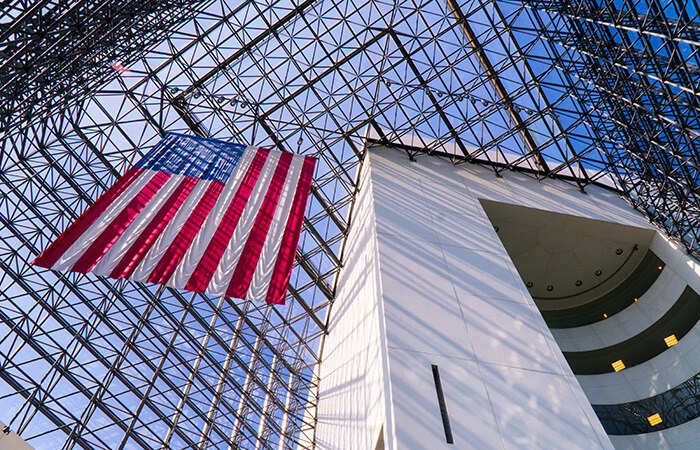 The Kennedy Library atrium. 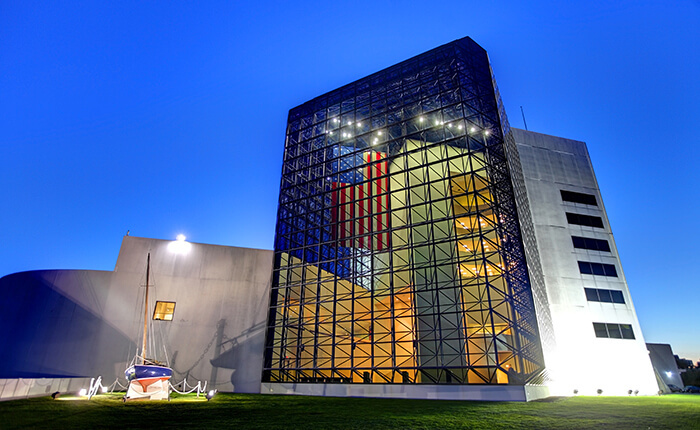 Courtesy John F. Kennedy Presidential Library and Museum.